Have you entered the debate of tackling DIY copy or outsourcing content to a copy writing service? After all, there is a great deal of work involved in developing and maintaining top copy. And, factors of time and skill raise the question as to the best way to attain traffic-boosting, lead-generating content. 91 percent are “all in” when it comes to using this strategy. 91 percent maintain realistic expectations and timelines. 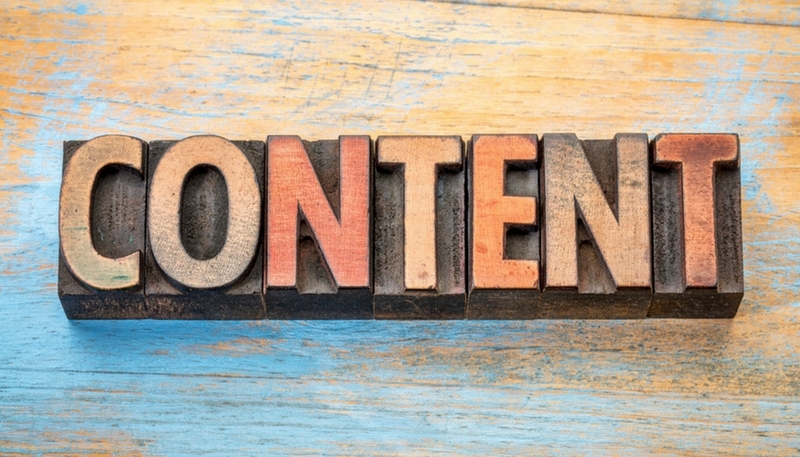 85 percent deliver content consistently over time. 85 percent focus on measuring return on investment. Considering the magnitude of strategy, expectations, consistent delivery and measurement, it is no wonder that hiring a copy writing service is up for discussion. In fact, according to TopRankBlog, 64 percent of B2B marketers outsource their demanding copy needs. So, how do you separate the help from the hype? Do you need to outsource your copy writing tasks or are the reasons for such services over inflated? 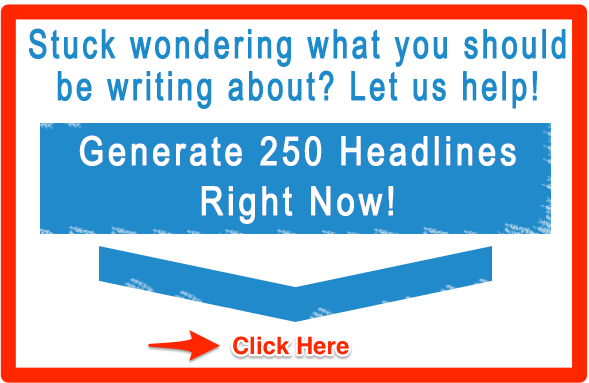 Now, you may be reading with skepticism, wondering if it is worth the click and your time. After all, I offer copywriting services. Why would you heed my potentially slated advice? Let me put you at ease. First, I love good copy. And, I recognize that others possess writing capabilities equal to or better than mine. If this is you, and time allows, I encourage you to produce your own content. In fact, I love to learn from the muse of creative landing pages, blogs and articles. Second, my desire is to solve problems with solutions that fit your needs. In other words, if there is no problem, then no services. In this case, leave a comment at the end of this blog. Inspire me with your success stories. Finally, I intend to simply lay out the statistics. The direction they lead is yours to determine. In truth, whether or not to outsource your copy writing depends on your goals and needs, not Copywriter Today’s ability to offer them. As the saying goes, “the struggle is real.” Even the best writers find other responsibilities tugging at, even hijacking, their calendars. Time or lack thereof to write is a problem oft quoted. Also, in reality, we all possess different gifts, talents and skills. Writing, copy writing in particular, may not be yours. There is no shame in that. 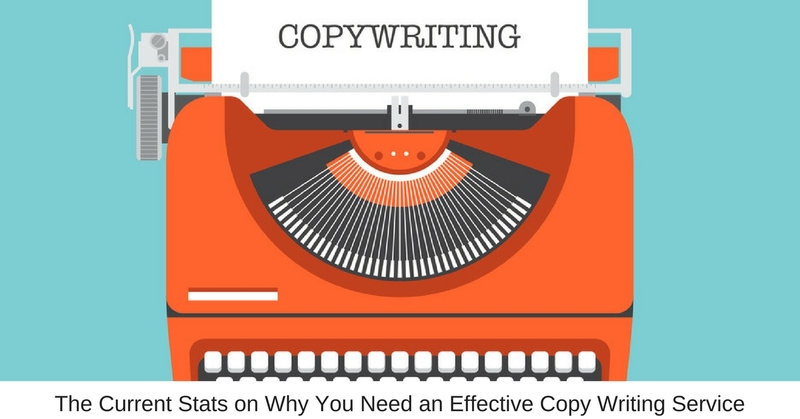 If either of these reasons raises the question of researching copy writing help, the stats are on your side. Let’s look at the facts and figures indicating why copywriting services are more than hype. While you may recognize that content is exceedingly valuable, the characteristics change with each passing year. What does content look like in 2017? Content production is on the rise. 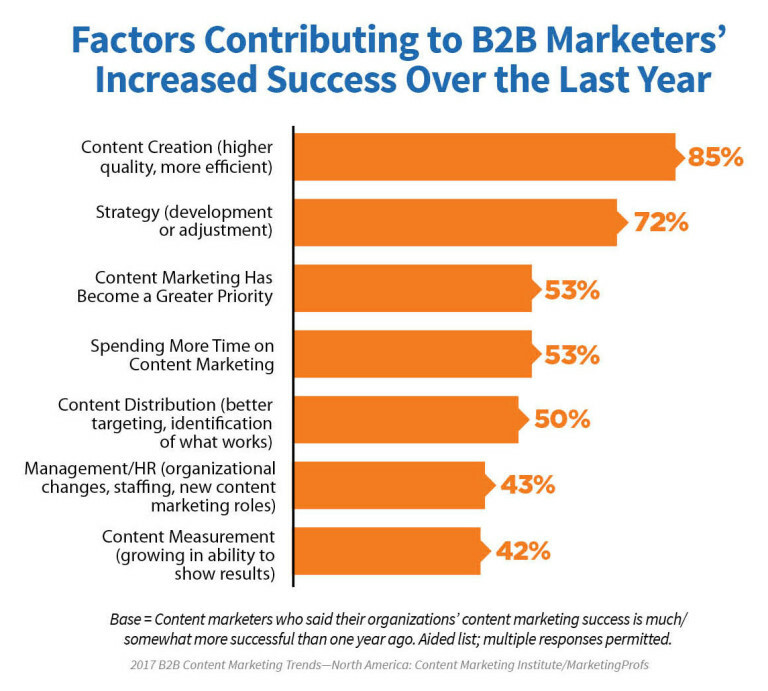 In fact, the goal to spin out more content in 2017 over 2016 is voiced by 70 percent of B2B marketers. And, quality must follow suit to draw traffic, engage readers and convert leads. What does this mean to you? Compelling copy draws 7.8 times more site traffic and produces brand recall which brings higher engagement rates. According to surveys, 56 percent of marketers believe this to be true. In order to keep up with the competition this year, you need to increase your quality content. Plus, the desired length of content grows significantly each year. For instance, blog posts of just over 1,000 words became the norm in 2016 and demonstrated a continuing steady increase over the last few years. This simply means more words add up to more time and attention. But, the results offer value. Readers are spending a median time of 37-seconds reading articles. And, long-form articles generate nine times more leads according to Curata. This fact alone makes the time expenditure worth the extra effort. This increase of content targets each step of the buyer’s journey. And, with the increase in the use of ad blockers totalling 200 million people, creative, organic content solutions rise to the forefront of marketing strategies. In fact, incorporating SEO, link building, keywords and other techniques into articles and blogs replaces paid ads. And, 45 percent of marketers claim blogging as the number one marketing strategy in 2017. TAKEAWAY: Can you handle the workload? 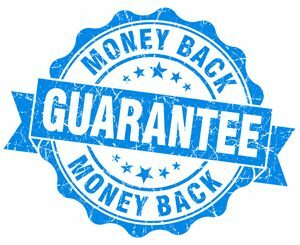 Beware, the increased need for consistently posted quality, lengthy, organic content may tax already full schedules. Let’s face it, most of us are attracted to the visual appeal and quick information grab of infographics and images. And, with schedules filling ever faster, this medium attracts more attention than ever. For proof, consider that 60.8 percent of marketers report that visual content is “absolutely necessary” to this year’s marketing strategy. And, 31.7 percent label it “very important.” Plus, 46 percent agree that photography is crucial to their campaigns. As commonly heard, “a picture is worth a thousand words.” And, with the average human attention span (eight seconds to be exact) shrinking to less than that of a goldfish, the power of visual information becomes apparent. Plus, with the average time given to read an article currently resting at 37-seconds, pictures, photography and infographics draw interest and break up text for readability. Images engage 30 percent of our brains which means catching our attention, increasing memory and boosting our interaction with the material. Marketers report the greatest reader response and engagement arises from infographics and original graphics (41.5 percent) and charts and data visualizations (25.7 percent). Plus, visuals are shared 40 times more than text with infographics, in particular, being liked and shared at least three times more across social media platforms. For instance, Tweeted images garner 18 percent more click-throughs, 89 percent more likes and 150 percent more retweets. Plus, our love of these attractive information sources shows up in the 800 percent search increase for infographics. Producing consistently engaging visuals plagues 36.7 percent of marketers. And, 71 percent claim it requires 5 hours per week to utilize this strategy. Time and other resources are required to make this happen. Graphical data, screenshots and videos offer other visual options. For an interesting read and more stats, check out this MassPlanner blog post, 10 Types Of Visual Content To Use In Your Content Marketing. TAKEAWAY: Excited? Get started using infographics to get your message across. Overwhelmed? A copy writing service might be the solution. When asked, 89 percent of marketers engage in social media for the top reason of increased exposure. And, according to the Content Marketing Institute, the most effective content marketers engage with seven social media platforms. However, participating in online social circles requires know-how and time investment. After all, inconsistent web presence is worse than no presence at all. Yet, research indicates a six hour per week investment results in an over 81 percent increase in traffic. With 1.86 billion active monthly users in 2016, Facebook also boasts the most use by marketers, 92 percent of them to be exact. In 2014, this equaled three million active advertisers taking advantage of this most popular social media platform. Furthermore, the impact of Facebook increases yearly. Consider that in 2012, just four years ago, the number of users barely surpassed one billion. And, 52 percent of consumer online and offline purchases are influenced by Facebook. Last year in its ten-year anniversary, Twitter boasted 310 million active monthly users. And, with 6,000 Tweets sent per day, getting in on the action proves tempting for businesses. In fact, 65.8 percent of U.S. companies market on this platform. A hint to the value of marketing via Twitter shows up in the over 130,000 Twitter advertisers. And, following five businesses on average, 80 percent of users Tweet about a brand. Plus, get this: 54 percent report to have taken action after hearing of a brand in this way. Six hundred million active monthly users make Instagram a viable marketing audience. And, for those looking to target consumers under 35, this social media newbie caters to this demographic (90 percent of its users are age 34 and under). While young, Instagram pulls its own marketing heft. Seeing an Instagram per-follower engagement rate of 4.21 percent, Facebook and Twitter fall behind (58 and 120 times, respectively). Finally, adding a “whom” and “where” to posts further boosts engagement by 56 percent and 79 percent, respectively. TAKEAWAY: Social media continues to grow as a content marketing strategy. Do you have the know-how and the hours to pursue such a campaign effectively? Or, do you need the help of a copy writing service? 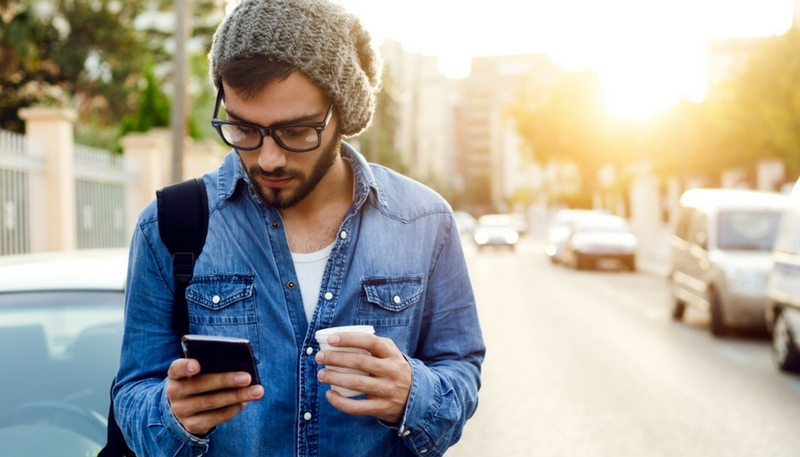 With 71 percent of marketers believing mobile marketing is at the center of their efforts, this trend is worth following for business success. In fact, 68 percent of companies include this type of marketing in their campaigns. And, responsive copy and websites, email marketing content and SEO blogs and articles capitalize on this platform. Taking it further, 58 percent of companies dedicate a team solely to mobile efforts. This value reflects the prediction that 72 percent of all U.S. digital ad spending will be on mobile advertising by 2019. It is no secret that our culture has hoped onto mobile and at high speeds. Mobile digital media time topped the desktop in 2015. And, laptops (91 percent), smartphones (80 percent) and tablets (47 percent) sit high on the list of devices used to search the Internet. Furthermore, mobile research begins with a search engine for 48 percent of users. Therefore, quality SEO content is crucial for getting noticed. And, 36 percent of mobile users check email via a mobile device giving you another means of reaching this on-the-move audience. The evidence of the power of mobile lies in sheer numbers. Consider that 1.65 billion active global, mobile, social accounts exist. And, one million new active mobile social users arrive on the scene daily. Plus, mobile users look for a seamless experience across devices (83 percent) and easy access to content (91 percent). Trouble with a mobile site is rewarded with a click to a competitor’s web page by 61 percent of users. And, poor mobile design costs you a consumer recommendation. TAKEAWAY: With 50 percent of us grabbing our smartphones immediately upon waking, this trend is not one to ignore. If you feel ill-equipped, outsourcing brings solutions. Otherwise, get on the move. According to HubSpot, 65 percent of companies name generating traffic and leads and 43 percent list proving return on investment issues as top marketing challenges. Furthermore, the Content Marketing Institue names producing engaging content (63 percent), measuring content effectiveness (60 percent) and measuring ROI (59 percent) as the top five challenges. Outsourcing copy writing services addresses both. In fact, 73 percent of companies hire someone to take care of their content marketing strategy. And, in return? These businesses see six times higher conversion rates. Can handle the increased output of consistently-posted, quality, longer, organic content required in 2017. Experience excitement or are overwhelmed at the thought of successfully using infographics and other visuals. 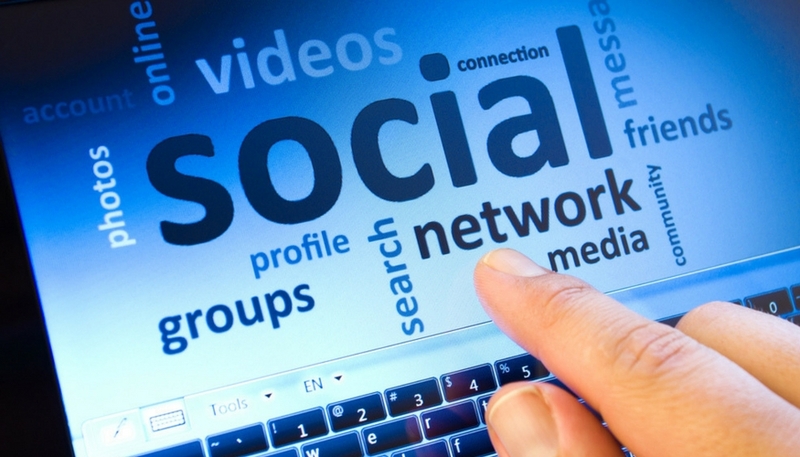 Possess the know-how to develop a consistent and powerful social media presence. Feel equipped to produce effective mobile content for a society evermore on-the-go. Have sufficient time to effectively tackle these efforts as a top priority. Investing time, money and skill into content reaps rewards. But, if you are short on any of these qualities, copy writing services offer you an effective alternative. So, what is your decision? 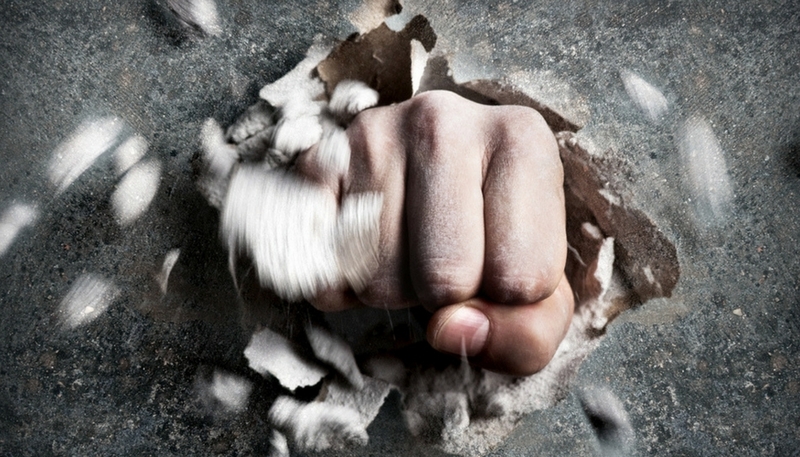 Will you tackle DIY content? Or, partner with a copy writing service? If you have more questions, give us a shout to talk content marketing, to schedule your free consultation or check out this week’s Copywriter Today webinar. P.S. If you enjoyed this blog, please comment below or by all means share it with a friend.